Last month I had the opportunity to write a book review for our homeschool association's newsletter (of which I'm the editor). It's a really great book, so I thought I'd post my review here as well. Sonya Haskins has written a superb book that puts a veritable gold mine of information at every homeschooler’s fingertips. The Homeschooler’s Book of Lists contains over 250 lists and charts on the topics of history, government, language arts, mathematics, science, geography, religion, human body, quotations, and so much more. Regardless of your teaching style, The Homeschooler’s Book of Lists is an excellent resource to supplement your home school. 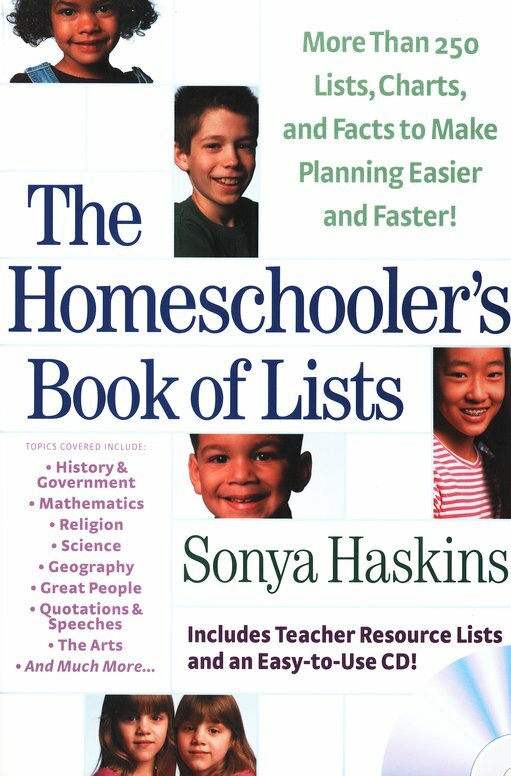 Author Sonya Haskins, a homeschooling mother herself, understands how homeschoolers think, and she’s made it extremely simple to utilize the oodles of information in The Homeschooler’s Book of Lists: each book comes with a CD which contains printable PDFs of each of the 250+ lists. So you can print out any of the lists for your children (or you) to use, and then just check off the information as you learn it. Could it get any easier than that? The Homeschooler’s Book of Lists is well-organized by subject, with a table of the list titles printed at the beginning of each chapter. 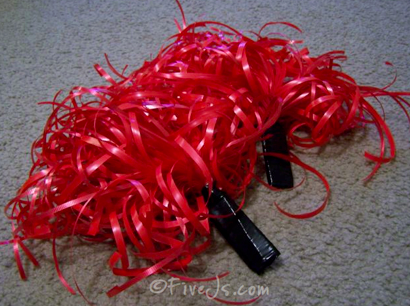 Each list is likewise easy to read, with all the information presented concisely. History and Government: modern wonders of the world; rulers of England, France, and Germany; major military conflicts of the world; Native American tribes; history of slavery in the U.S.; U.S. branches of government; holidays around the world; and many more. Language Arts: sight words for each grade level; linguistic terms; Morse code; the manual and phonetic alphabet; how to write business letters; creative book report ideas; and many more. Mathematics: famous mathematicians; major fields of mathematics; measurement abbreviations and equivalents; financial terms; world currencies; and many more. Science: renowned scientists; significant scientific dates and discoveries; major inventions; history of space flights; constellations; the Mohs scale of mineral hardness; and many more. Geography: Richter Scale; Fujita Tornado Damage Scale; Saffir-Simpson Hurricane Scale; major mountain ranges and rivers; caves and caverns of the world; U.S. National Monuments and Parks; and many more. Foreign Language: common Greek and Latin roots; origin of names of days of the week, months of the year, animals, and food; common foreign words and phrases used in English; major languages spoken around the world; meaning of -philia and -phobia words; and many more. 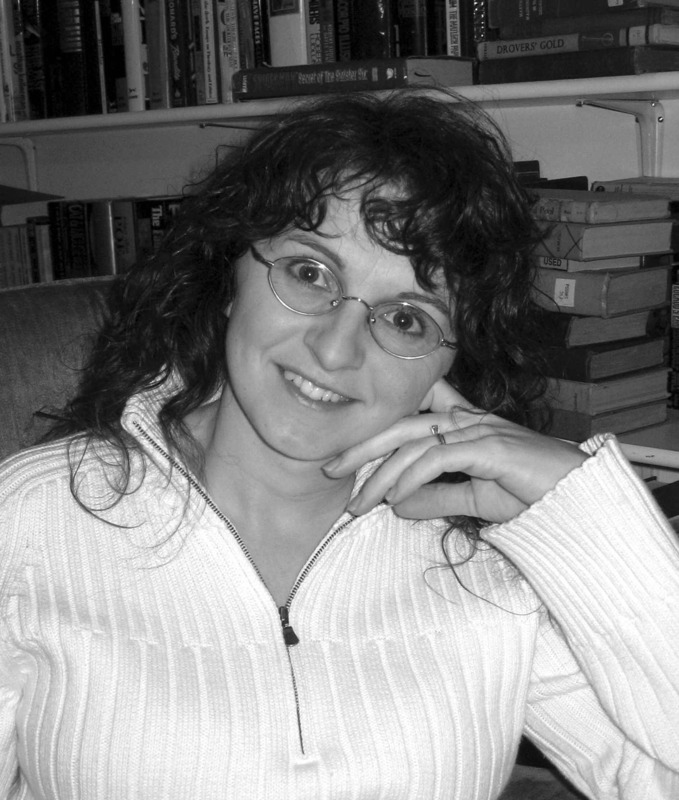 Author Sonya Haskins is a homeschooling mother of five children. Sonya has written about homeschooling in numerous publications, including Homeschooling Today, Educational Dealer, and Guideposts for Teens. She lives in Jonesborough, Tenessee, with her husband, Chris, and their children. The Homeschooler’s Book of Lists is published by Bethany House and was released earlier this year. It is available from most major retailers. Thanks for sharing as I haven't seen this book.